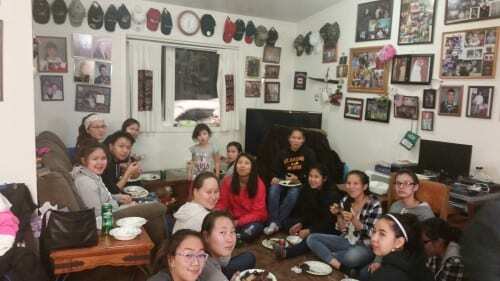 For the 12th year in a row, Loretta Kunaknana has invited Mount Edgecumbe students into her home to partake in a traditional Inupiaq meal during Thanksgiving week. Students don’t go home until winter break in December, so this can be a welcome taste of nostalgia while being far away. They are able to sign up for the dinner at the dorms, and although this year she had only 18 students, Kunaknana has served as many as 40 students in years past. Kunuknana’s family in Barrow sent many different types of meat for the feast, including caribou, bowhead, walrus, and beluga.